Once upon a time there was a little girl called Fiona who lived in Dublin. One morning Fiona's mother said to her "Your granny is sick and needs some ingredients to make her special 'witches brew.' It will make her feel better. You will need to go to the witches market on 'Moore street' to pick them up and then take them to Granny's house." 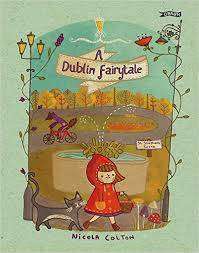 But Dublin is full of colourful characters and creatures from the fairytale realm. Often not seen or heard, they reside in some of Dublin's most famous locations and landmarks! Fiona's journey is not as simple as it sounds, as she encounters snakes, trolls, a wolf and many other unusual denizens of the city. With beautiful quirky illustrations by acclaimed illustrator Nicola Colton. Shortlisted for the Bord Gáis Energy Irish Book Awards Specsavers Children's Book of the Year Award - Junior for 2015.